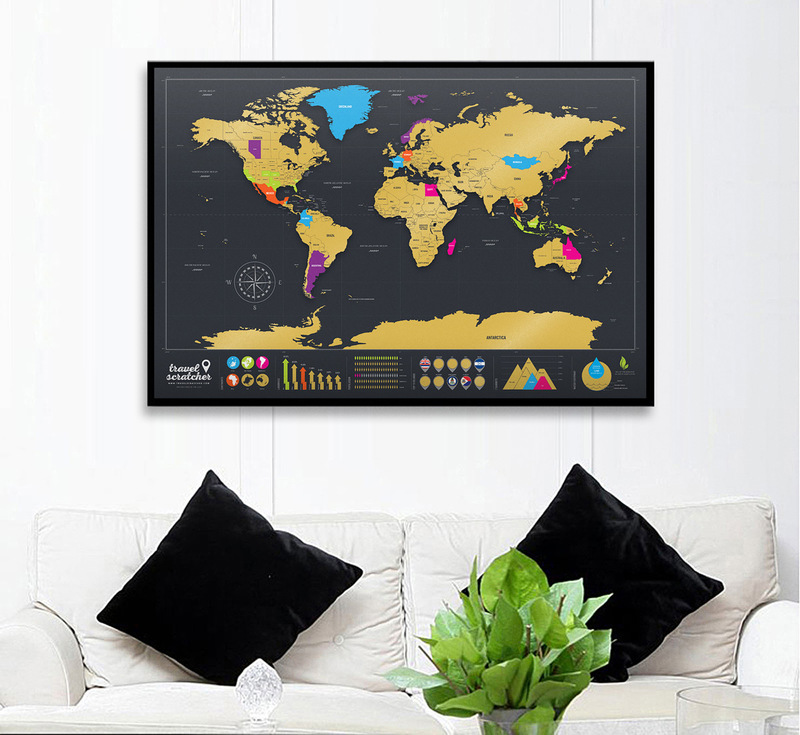 Let your artwork tell your story with the TravelScratcher Scratch-Off World Map. 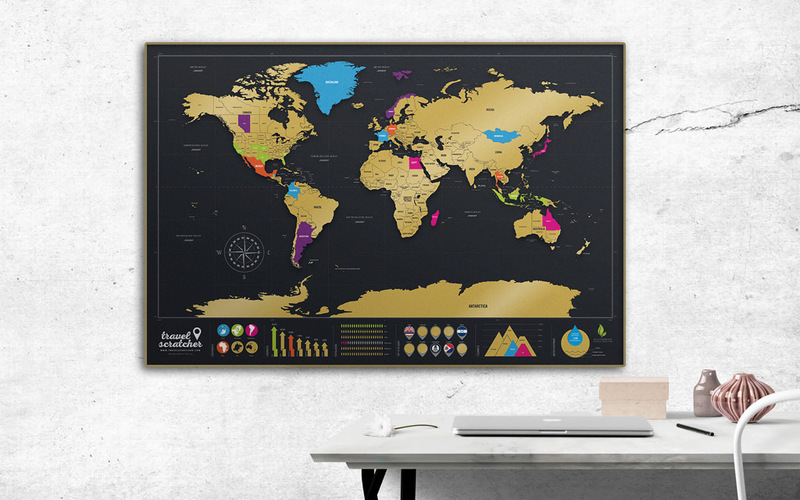 This sleek black and gold depiction of the world begins as a modern, infographic-esque wall hanging, and then adds both color and braggin' rights to your room as you scratch off the gold foil layers covering the countries you've visited. 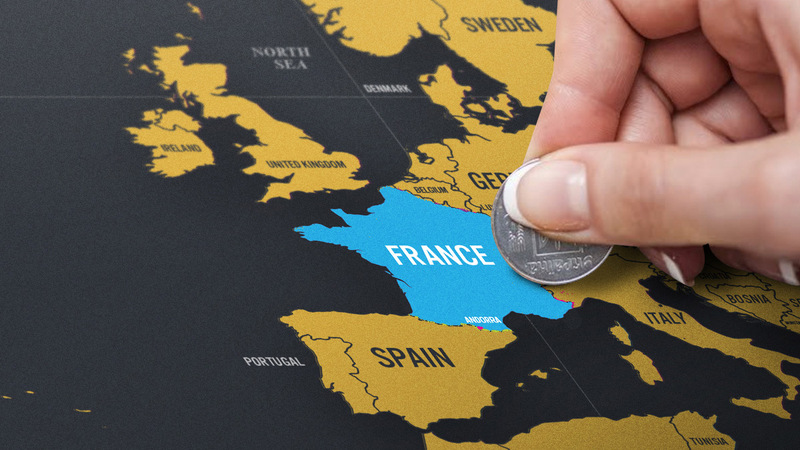 When you go sailing through the Adriatic islands of Croatia, high five the Mano del Desierto in the Atacama Desert of Chile, or attend a lanyard quality control conference in Poland, just scratch off the country's metallic patina like a sure-thing lottery ticket to reveal the brilliant blue, green, orange, magenta, or purple denoting Adventure accomplished underneath. 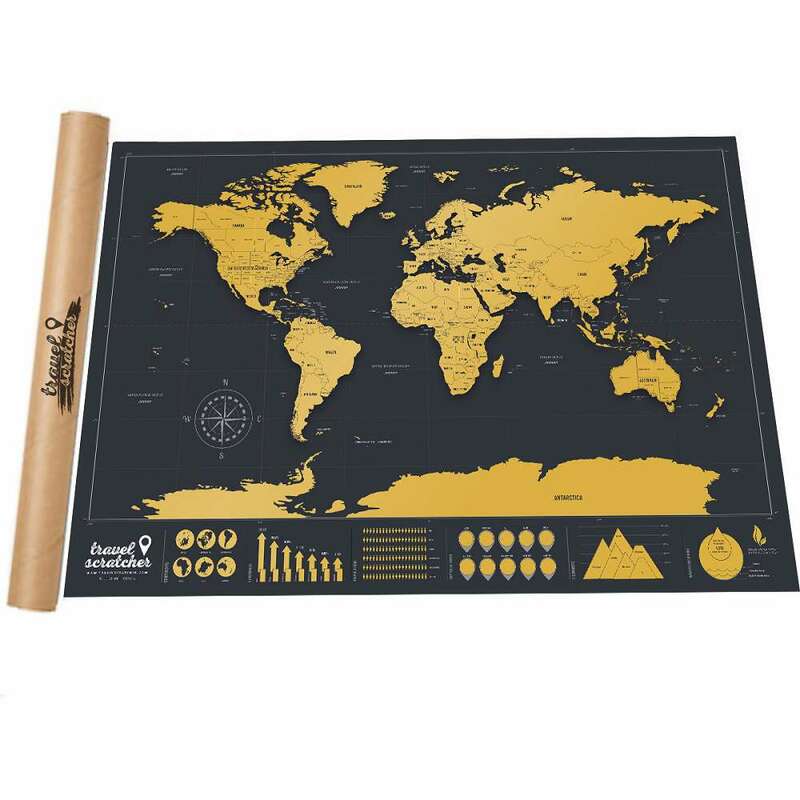 In addition to the world map up top, TravelScratchers include scratch-off extras along a bottom border, including 6 continent circles (sorry, Antarctica), arrows indicating the landmass of all 7 continents, world population visuals, the world's Top 10 islands you might visit, its 7 highest peaks you might summit, and a diagram depicting earth's water footprint. 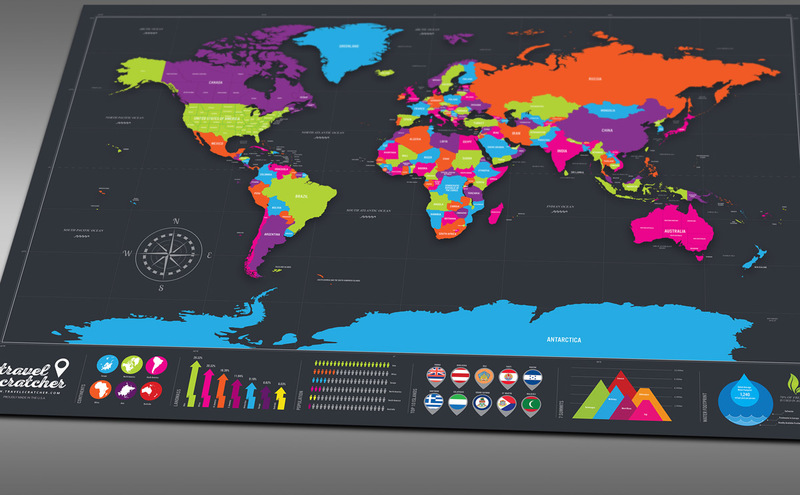 TravelScratcher Scratch-Off World Maps are made in the USA - beware of overseas knockoffs - from high quality laminate, card, and gold-colored foil. 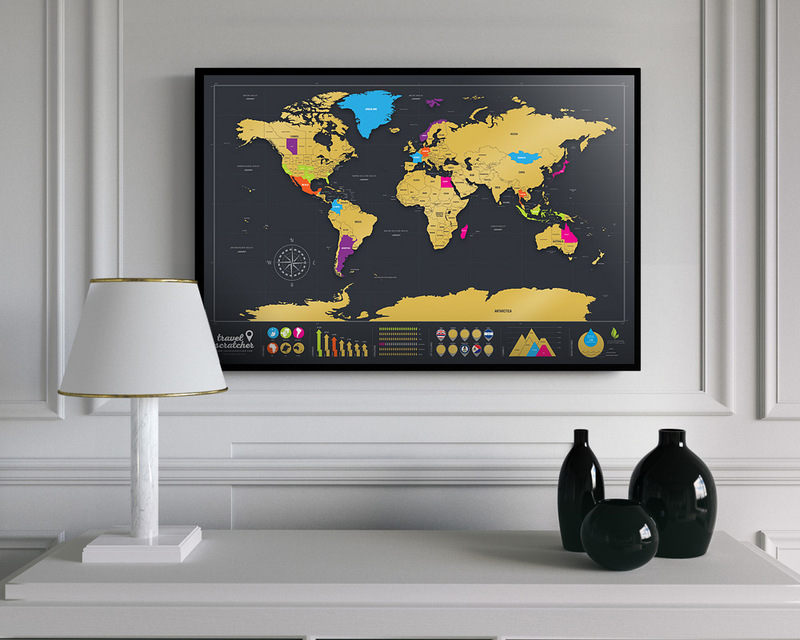 Click here to pick one up for yourself, or as a gift for your favorite globetrotter, and then get booking, get going, and get scratching.